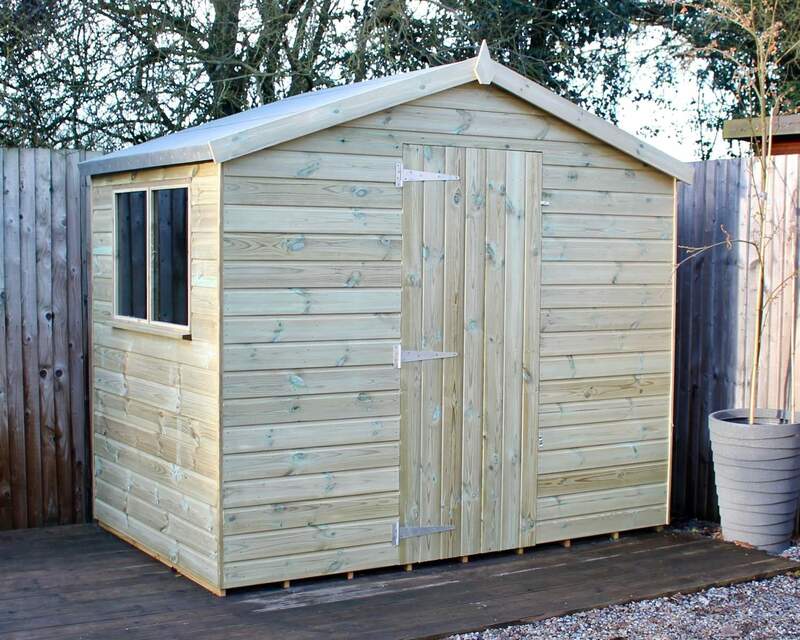 Here at Ace Sheds, we offer a selection of substantial 8 by 4 sheds which offer plenty of space to accommodate for your storage needs and much more. 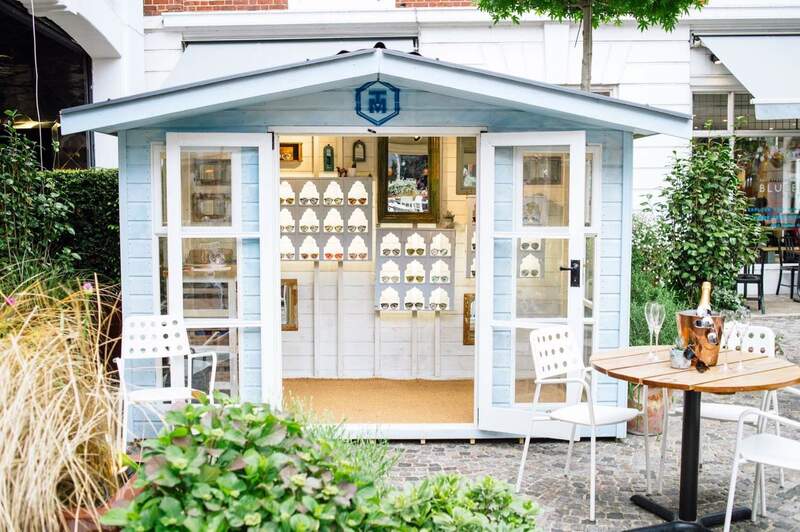 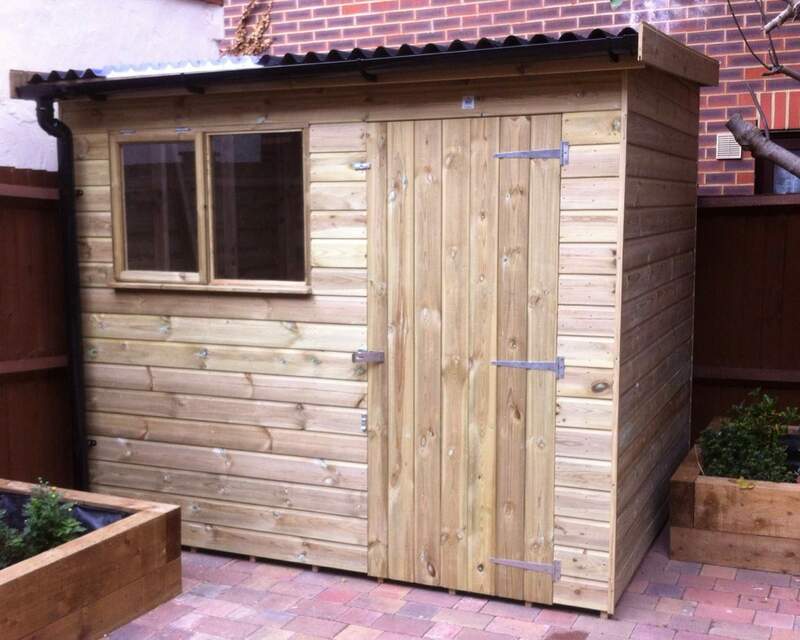 We encourage our customers to look beyond the traditional uses of a garden shed, and branch into the unknown. 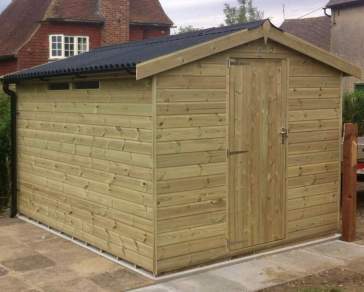 A number of our clients have gone on to use our 8x4 sheds as a retail space, man cave or she shed. 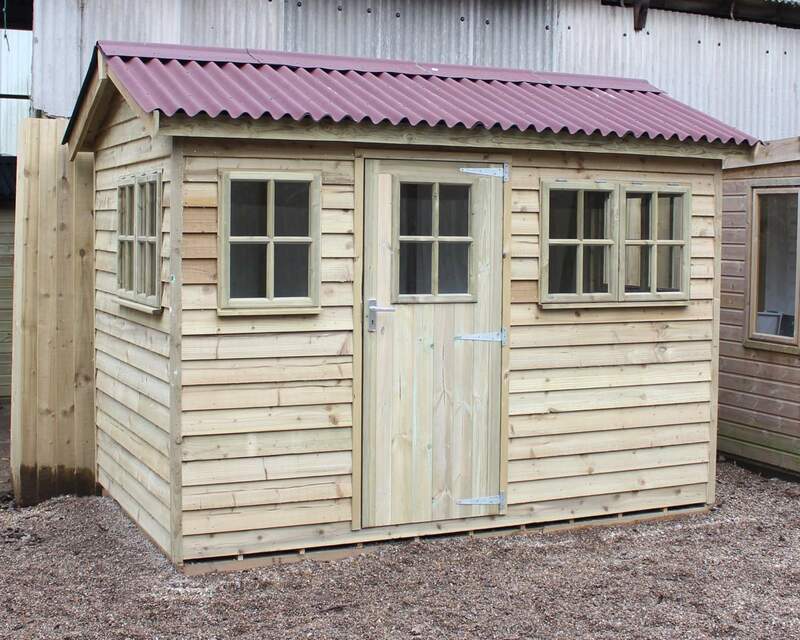 Each of our sheds has been manufactured on site by our expert team. 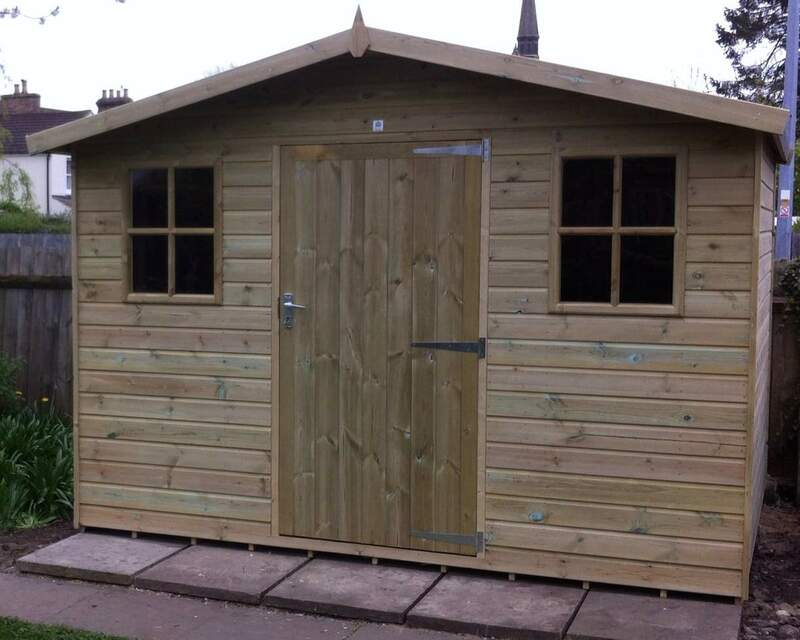 We only use the highest quality timber when manufacturing our sheds to ensure customers receive nothing but the best. 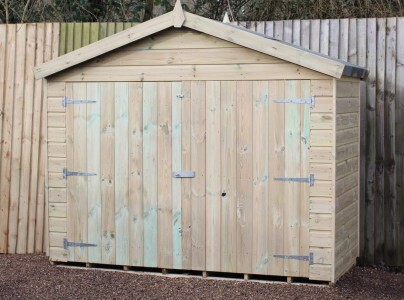 Our timber has been pressure treated to ensure our outdoor buildings remain protected throughout all weather conditions preventing signs of rot and decay. 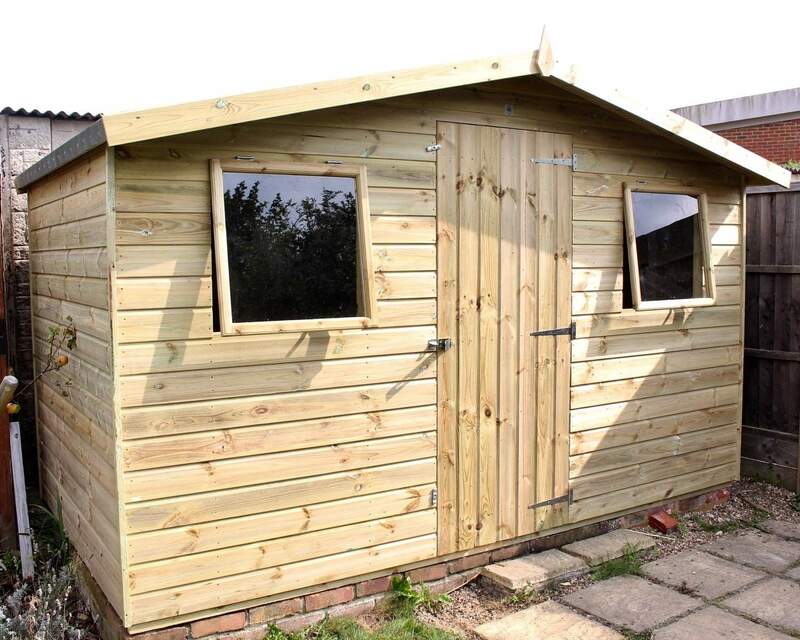 We also offer a premium pressure treatment service if you want to go one step further towards protecting your garden shed. 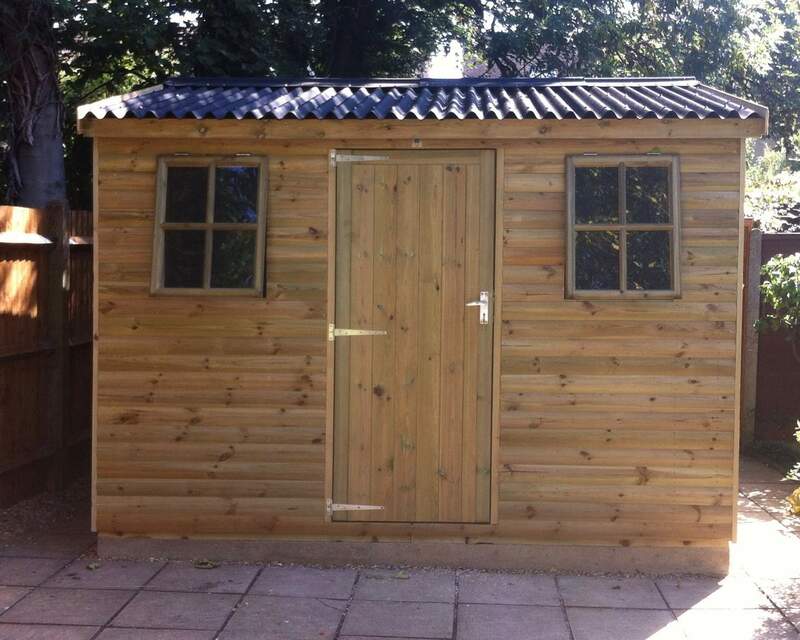 We offer an unrivalled bespoke service at Ace Sheds. 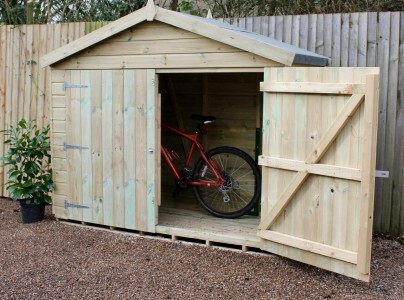 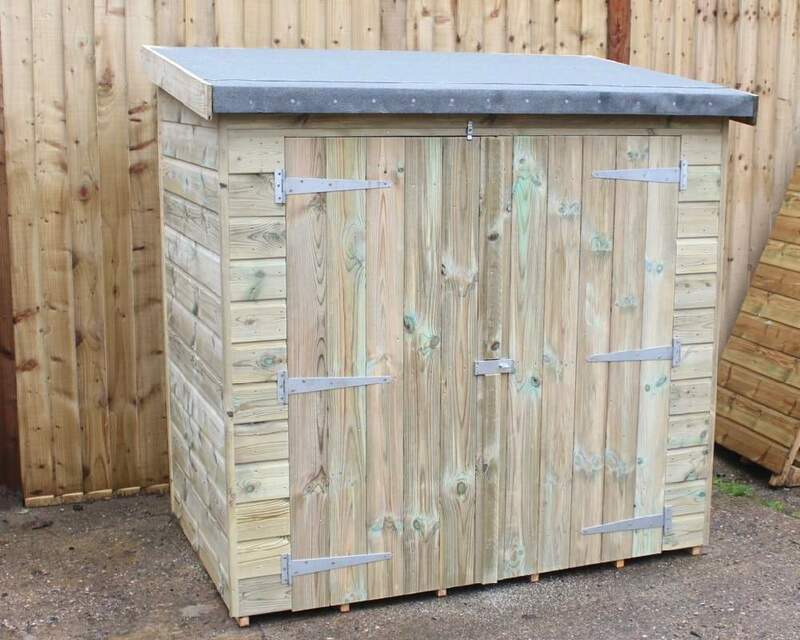 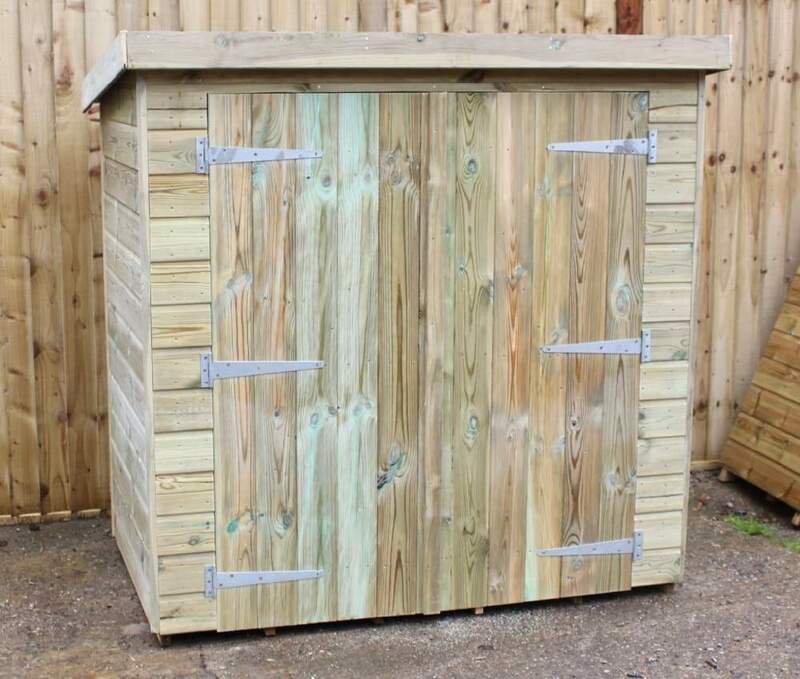 Each of our 8 by 4 sheds is fully customisable and can be tailored to your needs. 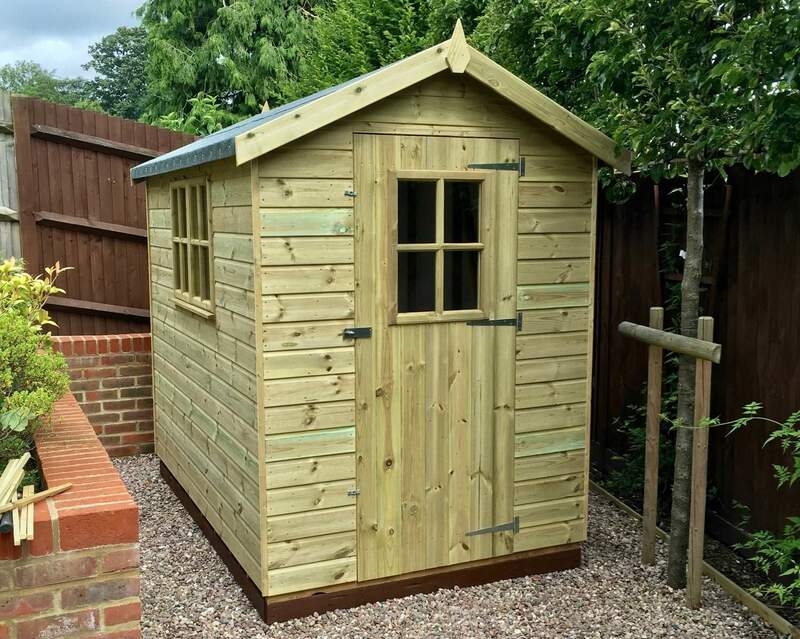 Our simple customisation process can be completed before you add to basket enabling you to add optional extras that are suitable for you. 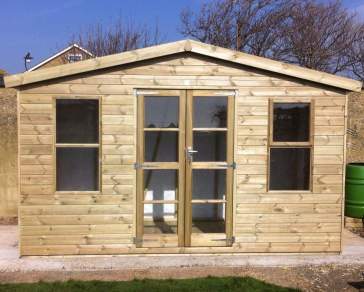 Change elements such as the door and window type and position, the depth of cladding and framing, the type of felt, additional security features and optional extras. 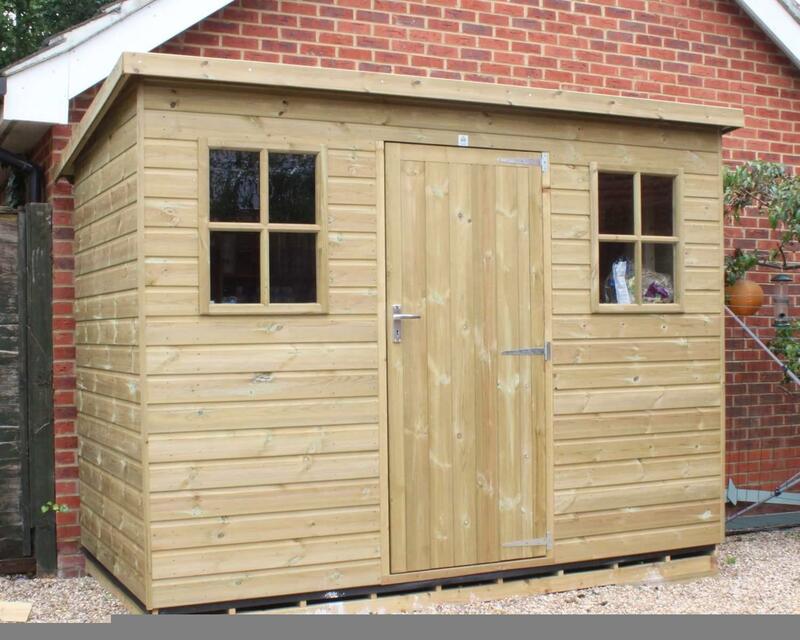 Whether you’re based in Kent, London, Surrey, Sussex, Middlesex or Essex we offer an expert delivery and installation service. 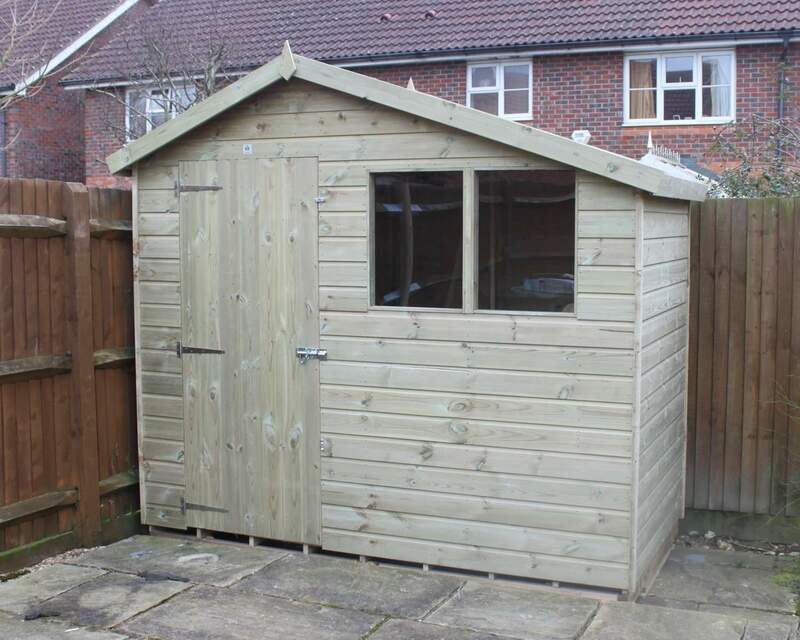 Receive your shed in approx. 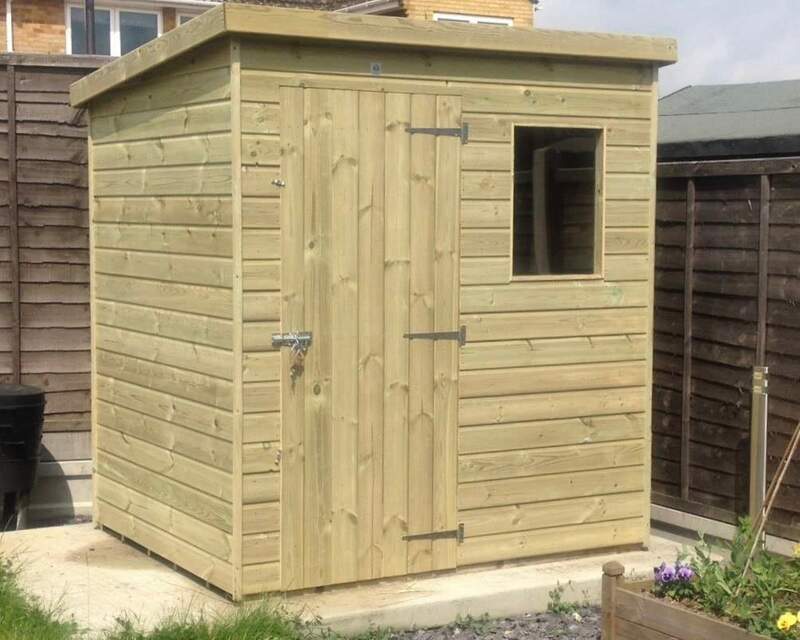 2-4 weeks after order and one of our experienced team members can install your shed on delivery or at another requested time suitable to you. 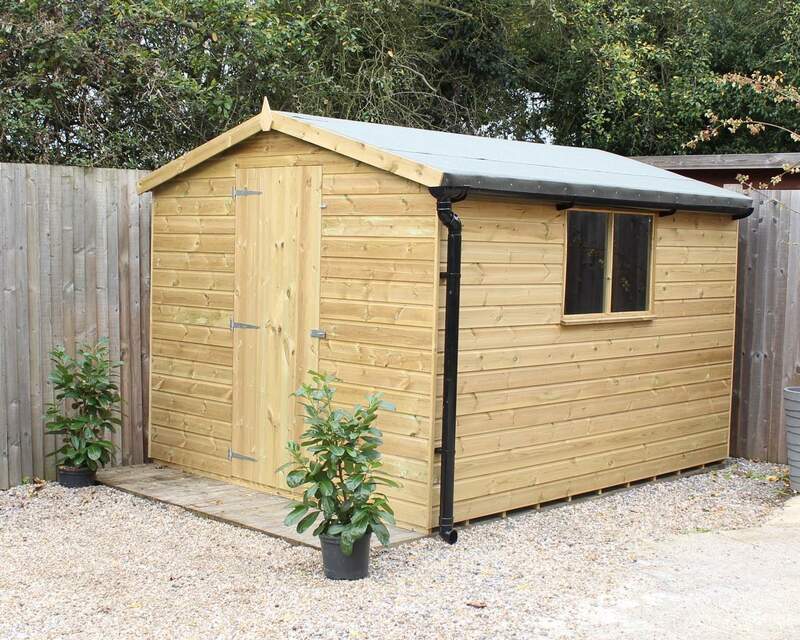 For more information, get in contact with one of the team members via our contact us page or call 01233 822042.